Soak rice in water overnight or for 4-5 hours. Grind it in a mixer. Do not add water all at once. Add water little by little with salt while grinding. Make a thin batter. Rice and water should be of 1:2 cup ratio. Spread oil in a non-stick pan and keep it on the flame. 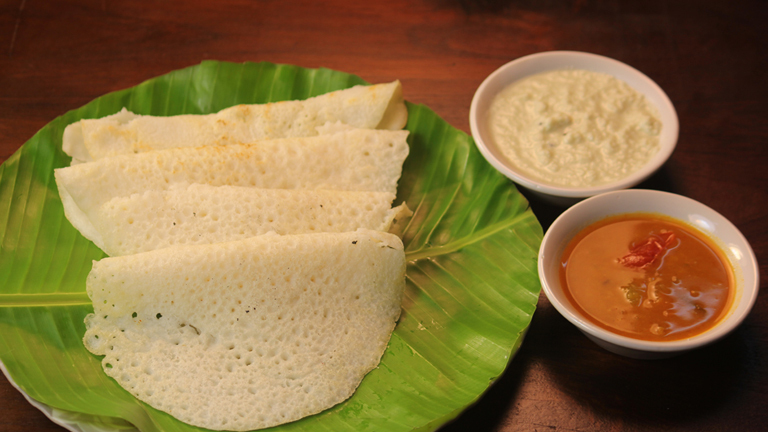 Pour a spoon of batter in it and spread it to make a thin dosa and close the lid and cook. No need to cook both the sides. Transfer it to a plate and be careful that dosas should not stick to each other. Relish it with chutney.